Bradenton is located on the Gulf Coast of Florida in Manatee County. It is the largest prinicipal city in the Bradenton-Sarasota-Venice metro region, which has a population of just over 680,000 residents. Approximately 50,000 of those people reside in the 15 square miles that make up the city of Bradenton. Bradenton is surrounded by fresh and saltwater bodies on all sides. Bordered to the north and south by the cities of Tampa and Sarasota, Bradenton is surrounded by the Gulf of Mexico, the Tampa Bay and the Manatee River, and its beaches are protected by the barrier islands of Anna Maria Island and Longboat Key. The city of Bradenton was first discovered by Hernando de Soto in 1539 while searching for his fabled El Dorado. The name "Bradenton" came from an early settler, Dr. Joseph Braden, whose house was built like a fort to protect the colonists from Seminole indian attacks. Bradenton is the largest city in Manatee county. 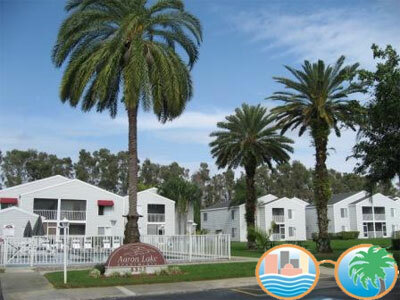 Brandenton, Florida is a wonderful place for you to relocate to because it offers so much for your family. The economy continues to show improvements as the city is working toward economic redevelopment. Bradenton is a large city with a small city feel. Your family can be a part of community events such as school sports which will greatly enhance your family lifestyle. This applies to other types of residents as well. Everything that a family, single person or business would require of a city is widely available in this sunny city. Moving On Up's Brandenton movers are able to get you moved with same day service if you ever require it for all local moves in the Sarasota region. We get you where you need to be with everything as you would expect it. You will not have to wonder where your things are since our moving service is very well organized. For your convenience, all boxes and furniture are carefully labeled with your Job Reference number, name, contact number, and moving to and from states. Storage customers are each stored on their own private pallets, which are in turn labeled on each side with inventory checklists. That saves you time and energy when you are moving, while reducing the likelihood of lost items. We can get you to or from your location efficiently and in an organized manner. Trust us with your next move. Moving On Up™ has included to the left links to the local sites of the cities and communities in Hillsborough County and Greater Bradenton and real estate resources below. If you would like any additional help planning your move, call Moving On Up™ at (239) 495-7191 for mover rates and to learn more about our monthly moving offers. Moving On Up™ When it is time for your move from Brandenton, Florida, we have the resources to help you get everything planned and packed. for a quote anytime. Give us a call at (954) 924-1522 to schedule an in-home estimate or book your move. Request a moving quote and get a FREE in-home visual estimate for an accurate, binding price.